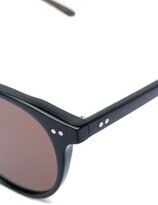 Black Monroe sunglasses from josef miller. This item is unisex. This item comes with a protective case.